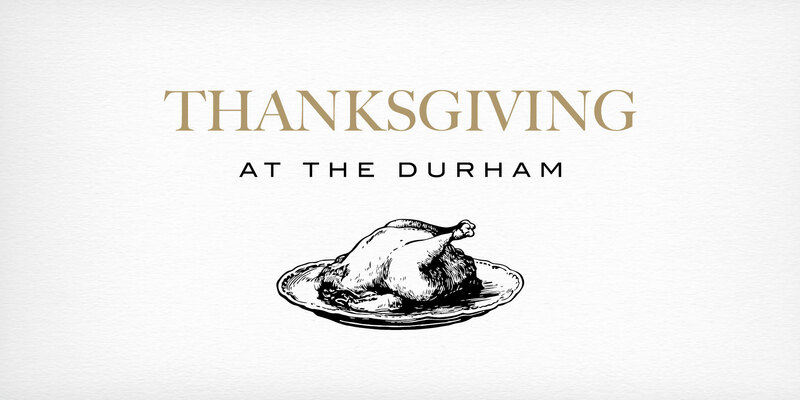 Please join us at The Durham to celebrate Thanksgiving. We will start with cocktails, passed hors d’oeuvres, and oyster shucking on the terrace, followed by a festive dinner with seasonal vegetables and heritage turkeys from White Oak Pastures. Please call 919-768-8831 for reservations.